5 Owl or Early Bird Wall Hook - Leafy Dreams Nursery Decals, Removable Kids Wall Decals-Stickers SALE NOW ON! 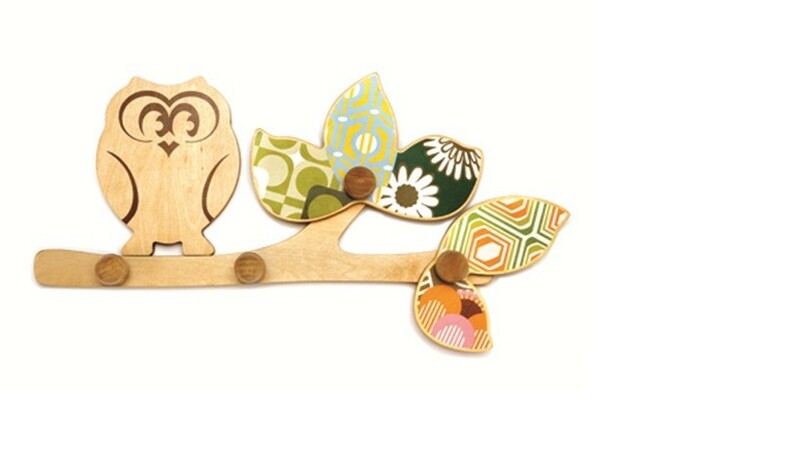 These stunning Enchanted Forest Wall Hooks feature the Early Bird or Sleepy Owl sitting on an Enchanted Tree branch, and will bring style and inspiration to your child's room. The Enchanted Wall Hooks feature silk-screened wooden leaves with prints inspired by vintage wallpaper. Delightful screw-in acorn pegs can be used for hanging special treasures. These Wall Hooks are lovingly handcrafted from environmentally friendly plywood from FSC managed forests; and beautifully finished with non-toxic varnish and inks safe for children and the environment.